I'm really excited to show off the terrain. Frameshift is set in an open world with a total area of 528km². The player can't get everywhere so the total walkable area is 409km² :). Everything is based on real satellite imagery and height data. This data is then customized by hand to add intricate details and blending. 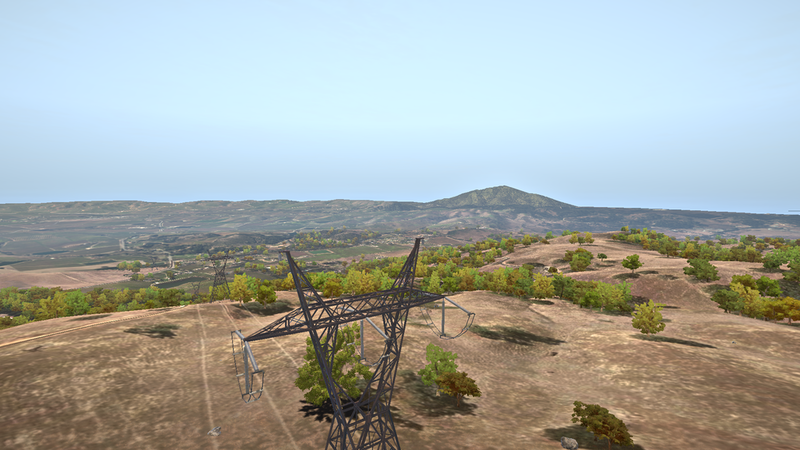 Satellite images don't have the best resolution when viewed close up, so at close distances those images fade into high resolution terrain textures. There are multiple biomes with different sets of vegetation and textures, including the Coast, "Low Fields", Mountains, Sierras, and Desert. There is too much area to show in a single blog post so this introduction will only be about the Low Fields. Low Fields biome is the most complete so far. It's green farmlands, rolling foothills, oak trees, small bushes, and plentiful edible plants. Trees and bushes are generated based on real data too. Very neat. Things to improve: atmospheric & weather effects, grass density, and add more vegetation assets for each biome. The Frameshift world is a major part of the game experience so look forward to more updates! Make sure to leave comments if you like what you see.